CINCINNATI -- A Xavier University student says she is so worried about being deported, she has a reminder scheduled on her phone. “I have a countdown on my phone for when my work permit expires,” said Heyra Avila. The DREAM Act -- a bill introduced in the Senate in July 2017 -- is a federal proposal that would offer similar protection as DACA, but it never passed. Avila and other immigrants want change. She and dozens of others gathered outside Sen. Rob Portman’s office Downtown Sunday to rally for immigration reform. Before she called Kentucky and Ohio home, Avila lived in Mexico with her parents. They crossed the border together when she was 4 years old. "The first memory I have in the United States was to see the buildings and the snow,” she said. Now, Avila said she’s worried she’ll lose her job, license and everything she’s worked toward to build a life in America. 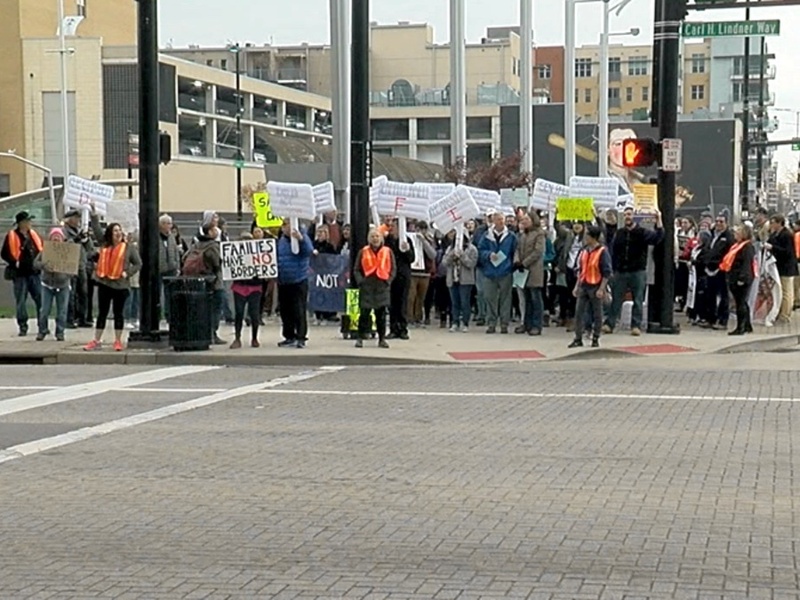 Some who rallied Downtown Sunday held signs "grading" lawmakers on their actions surrounding immigration reform. Reynolds-Berry and DACA recipients held signs that displayed a “grade” for legislators based on how they’ve handled immigration reform. Xavier University student Andrea Solis said she would like to see Sen. Portman have a solid stance on the issue. Congress has until March 5 to come up with a legislative solution.